Several tests have been performed to extract high valuable compounds from cocoa bean shell waste with the ROTOCAV hydrodynamic cavitator: results are reported on "Food Research International" and published on Sciencedirect, one of the most important international database for scientific articles. 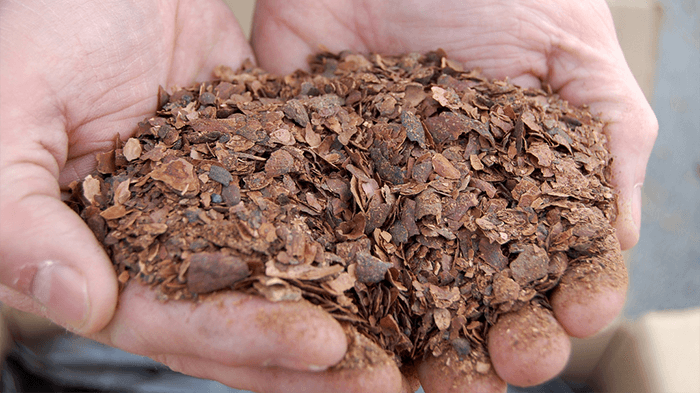 The present work aimed to valorise cocoa shells, one of the main by-product of the roasting process, in order to enhance the effective extraction of high added value compounds. It has been demonstrated that cocoa shells are a valuable source of antioxidant flavanols (catechin and epicatechin), methylxanthines (theobromine and caffeine), fatty acids and fibres. The extraction with the ROTOCAV hydrodynamic cavitator gave yields of 15,8% w/w in cocoa butter and 20,5% w/w in hydrophilic compounds, composed mainly of polyphenols and methylxanthines: these were the best results compared with ultrasound and conventional extractions, at laboratory scale. Boost your extraction process and valorize waste with a ROTOCAV cavitator, choose the best extraction technology! 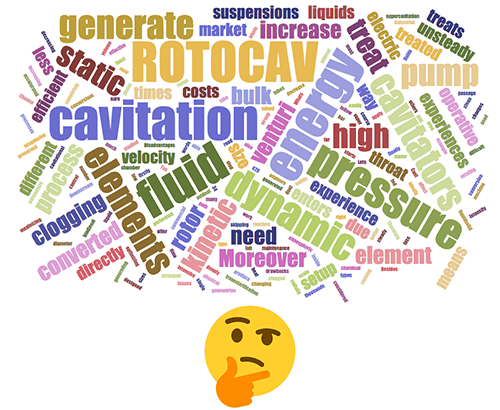 What is cavitation and why should I need a ROTOCAV hydrodynamic cavitator? A short video to explain what is cavitation and how our ROTOCAV hydrodynamic cavitator can improve industrial processes: if you need a boost for your process and you want to intensify it, to mix liquids with liquids, liquids with solids and liquids with gases you can exploit hydrodynamic cavitation generated by the ROTOCAV and increase process yields and your product quality. Optimize mass transfer and diffusivity, promoting turbulence, cavitation and shear stresses, drastically reduce treatment times and hold-up, to obtain products of better quality! Watch the full video! Have you ever heard of the treatment of pigments and dyes by hydrodynamic cavitation for the paint and coatings industries? Do you work in such industries and you are experiencing issues in homogenization and dispersing? We tested our ROTOCAV hydrodynamic cavitator to treat pigments, to be able to obtain a more uniform particle size distribution in the nano and micron ranges and improve the quality of colors, paints and coatings. Our test was able to decrease the particle size, with a narrow particle size distribution curve and to effectively homogenize and disperse the pigments into the liquid medium. The treatment increased also the stability of the dispersion, with no sedimented residues and agglomerates after one month of storage. Why treating pigments with hydrodynamic cavitation? Liquid jets and cavitational shear stresses are able to break up the solids and you will have better color saturation, stability, consistency and wettability! What's wrong with this setup? Let's follow the energy path of the fluid in a venturi tube: of course we need a pump to increase the pressure of the fluid before it enters the throat of the venturi, so electric energy is firstly converted to pressure energy, then to kinetic energy, when the fluid enters the throat, finally to pressure energy again, downstream the static element. Disadvantages are evident: with this setup we will need to pump all the fluid to be treated at high pressure, at least in the range of 4-20 bar, and there are too many energy conversions, which means high operative costs. Moreover, if we treat suspensions, liquids mixed with solids, we will experience clogging problems and high maintenance costs. Can't we directly apply kinetic energy to the fluid without increasing its pressure? Choose a ROTOCAV to intensify your process! 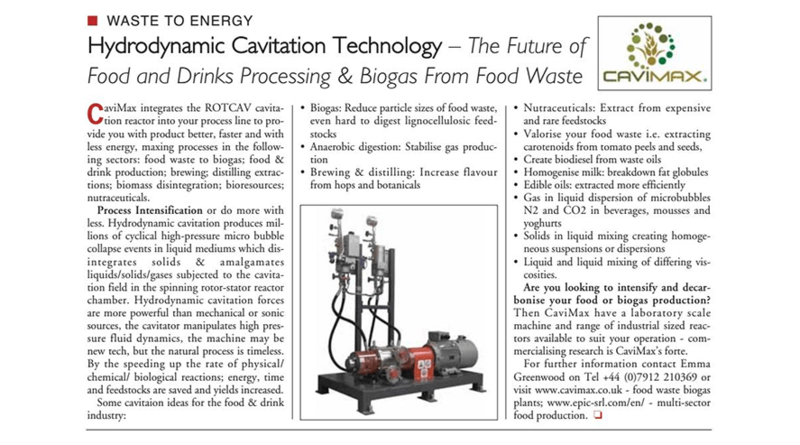 Another article about Cavimax and ROTOCAV published on Food & Drink Business Europe, a senior management magazine, website and newsletter for food and drink manufacturers in the UK and Europe. Food waste to biogas, food and drink production, brewing, distilling, extractions, biomass disintegration, bioresources and nutraceuticals: the ROTOCAV hydrodynamic cavitator intensifies all these processes easily, by speeding up the rate of physical, chemical and biological reactions; energy, time and feedstocks are saved and yields increased! Read the extract from the article Hydrodynamic Cavitation Technology - The Future of Food and Drinks Processing & Biogas From Food Waste. Do you know that cavitation can be of different types? Not only it can be classified into different groups, depending on how it is generated, optical, acoustic, particle and hydrodynamic, but also it can manifest in different ways, depending on the fluid dynamic parameters of the fluid subjected to cavitation. The three most important cavitation regimes are: attached steady cavitation, developed unsteady cavitation and supercavitation. During attached steady cavitation a cloud of bubbles is attached to the element generating cavitation and its volume doesn't change too much with time: an external observer would see a sort of single bubble attached to the element; this type of cavitation is usually not wanted, as it doesn't affect the liquid bulk too much with chemical and physical changes. 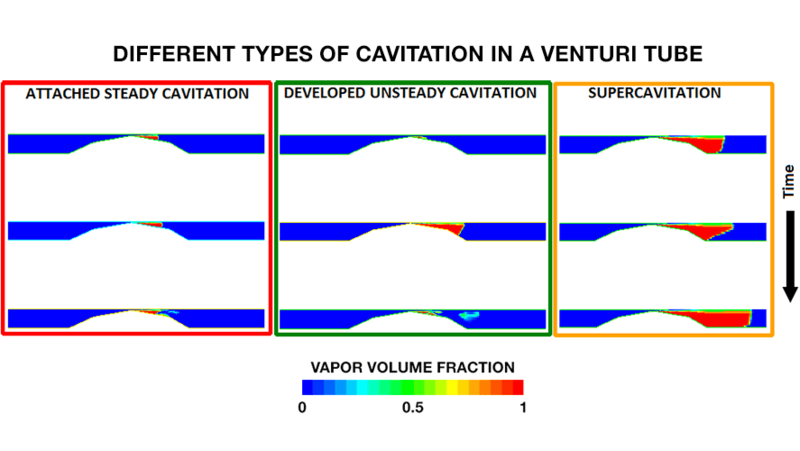 Developed unsteady cavitation can change physical and chemical properties of the bulk, considering that at regular intervals a cloud of bubbles detaches from the element generating cavitation and implodes in the liquid, downstream: this generates local high temperatures and pressures, generating OH radicals if the bulk contains water. 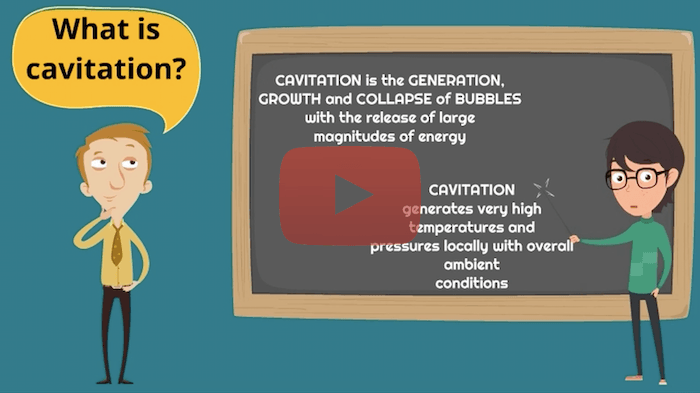 Supercavitation happens when a large and stable bubble is attached to the element generating cavitation: inside this large bubble the physical and chemical properties of the medium don't change too much. It is known that different processes can be intensified by hydrodynamic cavitation: some examples are biodiesel production, biomass treatment for biogas and bioethanol production, pig feed treatment, extraction of nutrients and active principles from plants, chemical reactions, mixing, homogenization, water treatment and many others. What is important to understand is that not all the processes need the same type of cavitation: most of our competitors offer to the customers a universal unit, which is not able to maximize the potential of a specific process; in some cases the cavitator will not perform at all. Supercavitation, for example, can give excellent results in some instances, very bad in others. Our ROTOCAV hydrodynamic cavitator can fit different rotors and stators able to generate the right type of cavitation for your process! Don't buy a universal equipment, contact us if you are interested in cavitation and you want to intensify your process: our team will fit the right machine for your process!